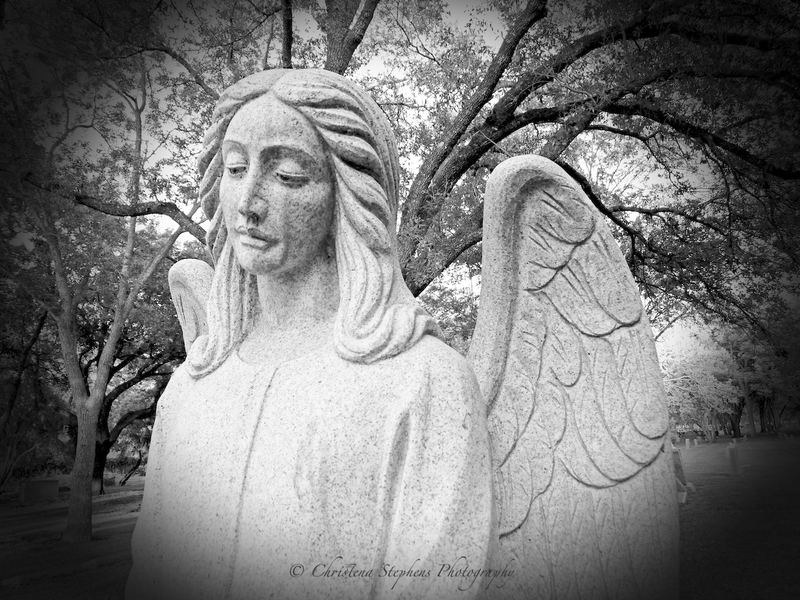 Of all the cemetery angels I have come across this one haunts me. As I wander around a cemetery I never know what I will encounter along my path. I saw this tall angel at a distance and started walking towards it. When I reached her – my breath was stilled as I paused looking upon her face. She was unmistakably crying from her left eye.